Another from the way back machine:) This was a fun one! 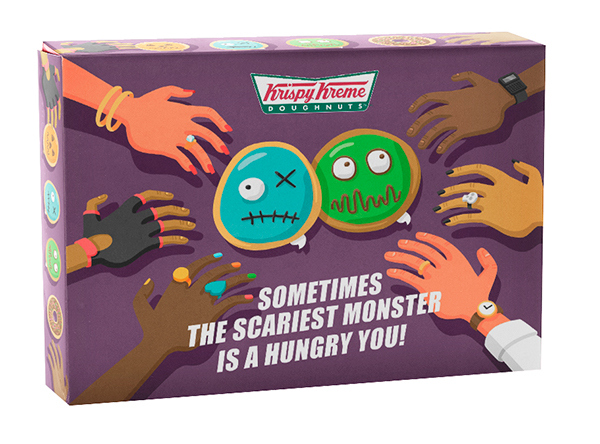 At the end of 2016 I got the chance to work with Krispy Kreme on a campaign for their Halloween themed donuts. They wanted a box design (which unfortunately ended up getting scrapped) as well as 3 gifs riffing on horror movie cliches. I was so into the concept that I ended up pitching 3 extra gifs, one of which ended up getting chosen to replace the original brief. A big thanks to Krispy Kreme and the team at Baldwin & for the great assignment! Enjoy, and please, try not to get too spooked. First out the gate, the campaign poster, representing potential donut lovers from the 6 major lifestyle categories: Opera Singer, Bike Messenger, 90's Raver, Nerd, Goth, and Business Man. 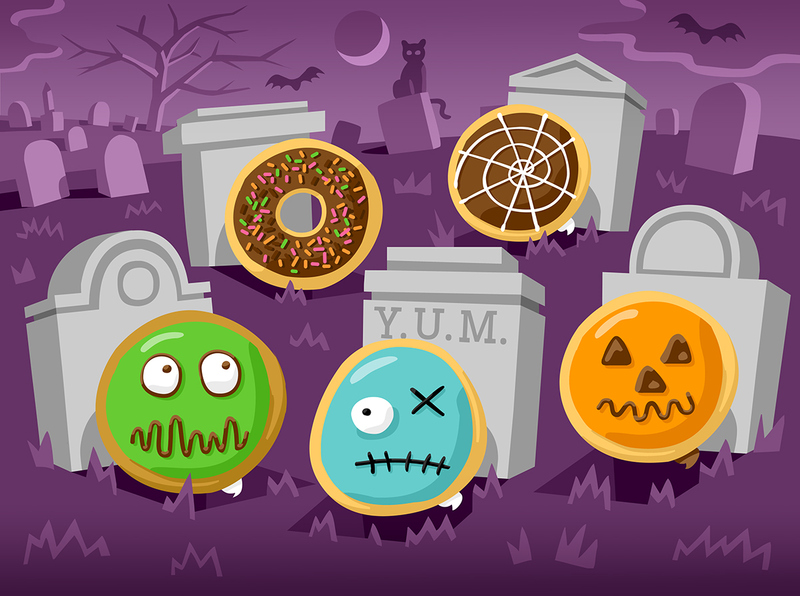 Haunted Donuts in their native habitat. Krispy Kreme Presents: "The Following"
And finally for the feature presentation. These Gifs were truly some of the most fun I've had on assignment. I always wish I had more time to work on these when I'm done (although I'm also very happy to go back to sitting on my couch,) but if I could get a full time job ripping off horror movie tropes to sling fried dough, I'd be in heaven. Krispy Kreme Presents: "Sleep Tight"
Glad those vector hand shapes from the box art didn't go to waste:) Imagining finding a actual pulsing donut sleeping in its box is a lot more disturbing than any of the scenarios in this series. Krispy Kreme Presents: "Zombie Donut: Origins"
No trilogy is complete without an origin story. I was worried I'd get some push back on the idea that all of the clients product already has had a bite taken out of it, but luckily nobody seemed to mind. Alright boys and ghouls! Back to the vector lab. Until next time. An Ad campaign for Krispy Kreme Donuts. Halloween 2016.